The annual audit of Marshall University was performed by CliftonLarsonAllen LLP, and according to CLA principal Bill McClain, Marshall passed with flying colors. “Our opinion on the financial statement of Marshall University is unmodified,” McClain said. Mark Robinson, chief financial officer for Marshall, broke down what an audit was and how it benefitted the university. Robinson said an audit is like a check and balance system. Robinson said there are many components that go into an audit. Robinson said Marshall did well because of the organizational skills the university has. 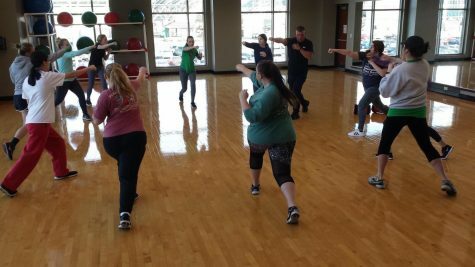 “Marshall is one of the healthiest education institutes in the system,” Robinson said. The Higher Education Policy Commission published the audit on their website. The audit goes on to state the progress Marshall has made. The fiscal changes that Marshall has made over the years have benefited the university. “Marshall University is now more focuses than ever on cost controls, value creation, organizational structure-function efficiencies, judicious spending, utility conservation measures, targeted improvements to the physical plant, growth in extramural grant funding, strategic expansion of students enrollment and diversified revenue enhancements,” according to CLA.